HomoQuotable - Ellen DeGeneres - Joe.My.God. “Apparently, there’s a lot of debate going on right now, whether I’m qualified or not to be the new judge on American Idol… I’ll tell you right now, how I know I’m going to be a great judge — because I’ve spent my whole life being judged. So, I know what it’s like. So, I will be kind. I will be compassionate. I will be empathetic, and I will be truthful. 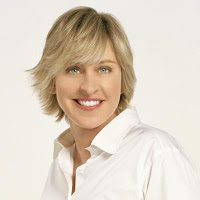 I will be an honest judge without being mean.” – Ellen DeGeneres, defending her selection as Paula Abdul’s replacement.